Law enforcement officials are poring through evidence as they try to uncover the motives of Syed Farook and his wife Tashfeen Malik, who allegedly killed 14 people and injured 21 others in Wednesday’s shooting rampage in San Bernardino, California -- a case that is now a federal terrorism investigation. However, Comey also said, "We have no indication that these killers are part of an organized larger group or form part of a cell. There's no indication that they are part of a network." 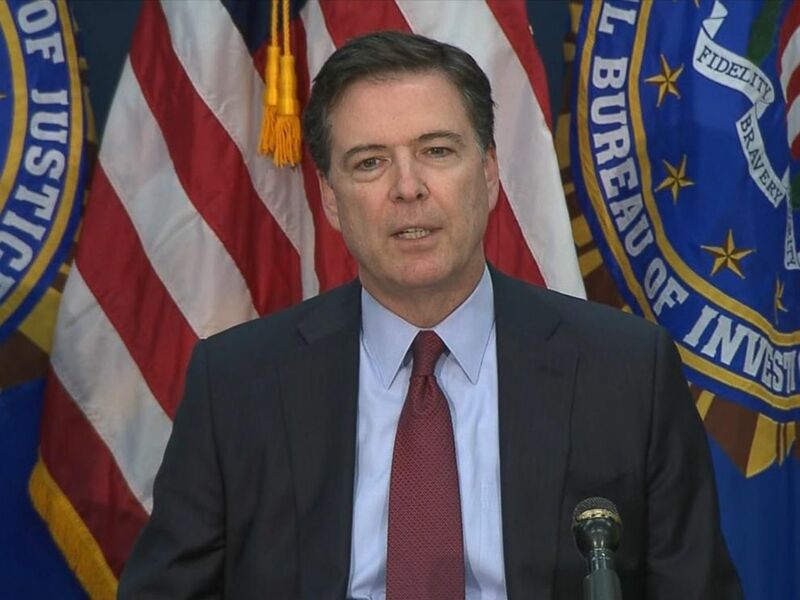 FBI Director James Comey speaking at a press conference, Dec. 4, 2015. FBI Assistant Director David Bowdich noted that investigators had found two broken cellphones that they believe show the couple was actively trying to cover their tracks. "We have retained those cellphones and we do continue to exploit the data from the cellphones," Bowdich said at a news conference Friday. "We do hope that the digital fingerprints that were left by these two individuals will take us towards their motivation. That evidence is incredibly important." In his weekly address today, President Obama called the deaths of the victims "an absolute tragedy, not just for San Bernardino, but for our country." "More broadly, this tragedy reminds us of our obligation to do everything in our power, together, to keep our communities safe," the president said. "We know that the killers in San Bernardino used military-style assault weapons -- weapons of war -- to kill as many people as they could. It’s another tragic reminder that here in America it’s way too easy for dangerous people to get their hands on a gun." Suspects Farook and Malik were killed by police in a shootout after their deadly attack. In addition to having plenty of ammunition for another attack, sources told ABC News they also made sure to cover their tracks. Meanwhile, the first photo of Malik emerged Friday as sources told ABC News that Malik, using an alias on social media, allegedly pledged her allegiance to Abu Bakr al-Baghdadi, the leader of ISIS. Malik, who is from Pakistan but had lived in Saudi Arabia, came to the U.S. last summer on a “fiancé” visa and later obtained a Green Card, U.S. officials have said. Malik married Farook, an American of Pakistani descent, in August 2014 and the couple had a baby daughter six months ago. Syed Farook’s family attorney, David Chesley, said at a news conference Friday that family members were “totally shocked” by the couple’s actions. "None of the family members had any idea that this was going to take place," Chesley said. 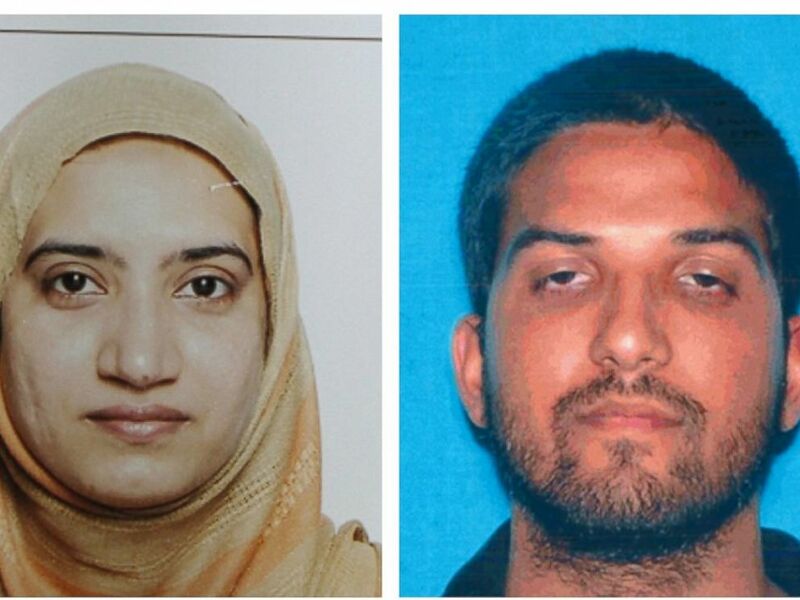 Saira Khan, Farook's sister and Malik's sister-in-law, told ABC News on Friday, "I don’t even know who that is." “I have no idea who she is pledging allegiance to," Khan said. "She’s never mentioned any political thing." ABC News got a glimpse on Friday inside the suspected shooters’ home, which looked like that of any family with a newborn. One of the bedrooms upstairs was dedicated to the new addition to the family, as seen by cameras allowed into the home. Everything appeared so normal that neighbors and colleagues of the couple say they had no idea the people living and working next to them were planning a deadly attack. Shannon Johnson, left, pictured with Mandy Pifer, was confirmed to be one of the victims killed in the Dec. 2, 2015 shooting in San Bernardino, Calif. Stories about the victims and the survivors have also emerged following Wednesday’s deadly attack at the Inland Regional Center. 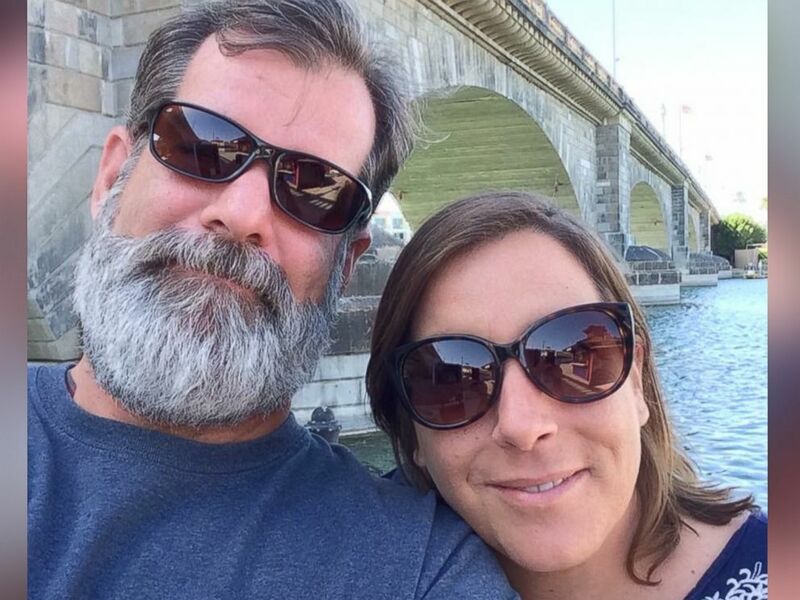 The husband of one injured survivor told ABC News there was no dispute beforehand, and the shooting was absolutely not workplace violence. Farook quietly left the room during training, the husband said, and came back with a plan to kill. He said that any kind of holiday celebration there had not even begun. The man's wife remains in the hospital with an injury to her lung. Survivor Denise Peraza spoke about how a co-worker, Shannon Johnson, who was killed, shielded her. "I got you," Johnson told Peraza, according to a statement obtained from her family by ABC News. "I believe I am still here today because of this amazing man," Peraza, who was released from the hospital Friday after being shot, said in the statement. ABC News' Josh Margolin, James Gordon Meek, Tom Liddy and Sally Hawkins contributed to this report.